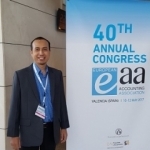 The 2nd International Conference on Accounting, Business and Economics (ICABE) 2017 is an annual event held by Faculty Economics, Universitas Islam Indonesia (FE UII). ICABE 2017 theme is Global Collaboration to Enhance Competitiveness: Opportunities and Challenges. We encourage international collaboration, idea-sharing facilitation and networking in the field of Accounting, Business and Economics.